If you’re a nuclear physicist, or even remotely interested in the fact, you’ll likely be intrigued to see an actual layout of North Korea’s nuclear facility. Not that you’ll ever see it from the secretive state itself, but here’s the next best thing: a 3D model of the site where they are reported to conduct the tests. 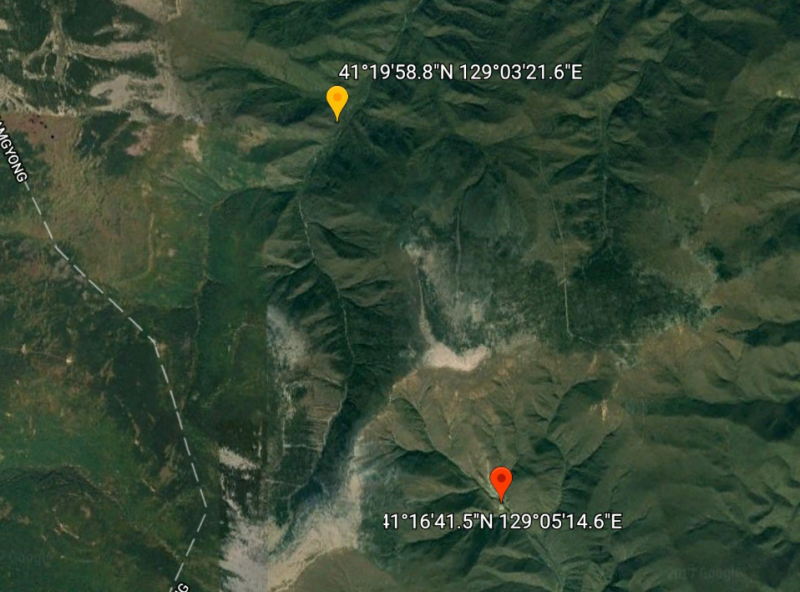 Punggye-Ri is the location where the regime’s latest experiment – which created an artificial earthquake able to be felt in neighbouring China and Russia – was held on Sunday (September 3). Much like Los Alamos was for the US Government in the mid 1940s, Punggye-Ri appears central to North Korea's nuclear development strategy. Six nuclear tests have been conducted since 2006 and it's the only active site in the world. It ticks all the boxes for a nefarious rural hideaway, even boasting a system of tunnels blasted into a mountain, where the test themselves take place. As you might expect, it’s in a location which could be seen to limit the damage any wayward test might have, located underground in the mountains to the northeast of the state. A 3D model of the facility says the nuclear test complex, buried below Mount Mantap, has more than one kilometre worth of tunnels, with three entrances. The mountains themselves can contain explosions of up to a few hundred kilotons. For reference, the nuclear explosion at Hiroshima during World War Two was 15 kilotons. So it's fair to say the North Korean test team are fairly well covered. More and more tunnels have been added over the years in order to accommodate more testing. 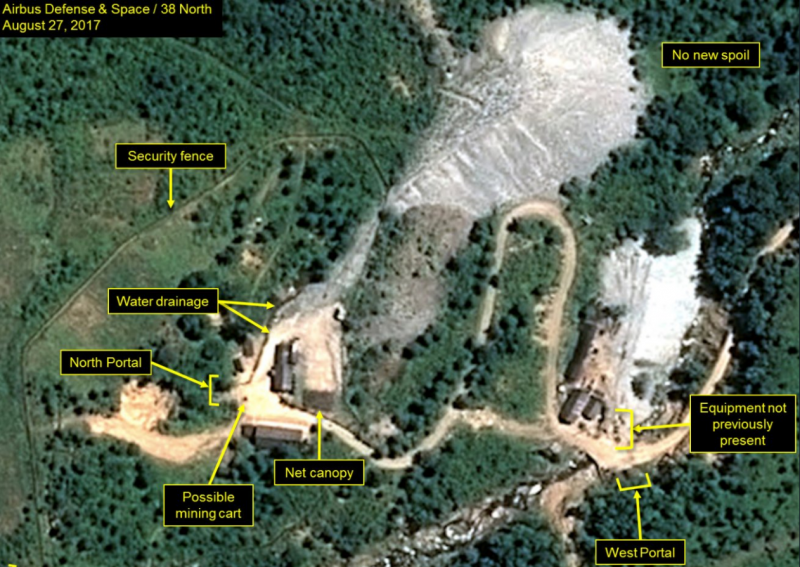 In 2015, the regime began to excavate more to the west of the facility, possibly to allow for more tests on a grander scale. There are believed to be several “cavities” left in the mountain, the remnants from prior experiments. Seismographs have helped foreign organisations locate the tremors caused byprevious tests. Scientists are able to differentiate the man-made from the natural ones because of the depth of the quakes. This allows for the creation of a reasonably accurate map to locate the leftover cavities. At present, very little is known about people who live close to the test site. There is the nearby village for which the site is named 12 kilometres away, Punggye-Ri, but the population of this village is not known. Roughly 80 kilometres to the east lie several coastal cities and even Chongjin Airport, but again population figures are not available. More is known about the cities across the border in China. Several media reports state residents in cities like Yanji – which is 10 kilometres from the border – were able to feel the shaking from the bomb. Even people in Russia were able to feel it, which speaks to the power of the device tested. The regime in Pyongyang has made clear it will continue its nuclear weapons program, in the face of UN sanctions and despite heavy opposition from South Korea, Japan, and the United States. The site is sure to see much more in the way of activity as the years go on.